The young superstar Prithviraj was selected as the Youth Icon in the Mathrubhumi-Kalyan silks awards that will be distributed by the next weekend. The actor was selected for the award for making movies a celebration of youthfulness and also for his ability to find a youthful space among the clashes of senior titans. 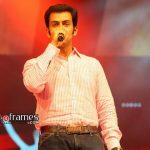 The actor who has been instrumental in finding right roles to perform as well as ones that will give him solid fans as a commercially viable actors, Prithviraj also carefully selected roles that made him a star all around South. The actor who is getting ready to enter Bollywood by this yearend has also received many awards including the much coveted Kerala State award for best actor. And of now, Prithvi is eagerly waiting for the biggest movie of his career ‘Urumi’ with Santhosh Sivan that will get to theatres next week. With the movie, Prithviraj has also turned producer sharing the baton with Shaji Nateshan and the Santhosh Sivan. The movie made in a grand scale is a historical thriller which will ago for an international release. 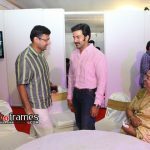 3 responses to "Prithviraj at Mathrubhumi – Kalyan Silks Awards 2010 stills"